We’ve all heard countless tales about forthcoming driverless technology that will result in consumers swapping car ownership for the ability to ‘call’ autonomous vehicles whenever the need to travel arises. However, we think that particular future is a little way off and, regardless, the international press often overlooks the fact that many people will still want to own cars – it’s a way of life and much-treasured hobby for many. As exciting as the future of autonomous vehicles may be, there are plenty more fascinating technologies heading the way of the automobile. They rarely make the headlines, which is why we want to take this opportunity to list six of what we believe to be the most innovative advancements for the car that have the best chance of making the big time. How do self-driving cars avoid crashing into one another? They learn to talk openly and freely – with each other. It’s easy to look past the fact that for society to fully trust autonomous vehicle technology, the cars themselves need to demonstrate that they are connected to both the surrounding environment, and the numerous cars, buses, trucks and motorbikes sharing the road. Car-to-car communication will therefore be a vitally important technology going forward, but will require solid standards to be devised and uninhibited cooperation on behalf of all manufacturers if it is to be successful. Keyless entry and starting is gradually becoming commonplace in modern cars, but it’s unlikely that this particular trend will stop there. In a bid to make ownership a more connected experience than ever before, manufacturers are likely to start integrating biometric car access into doors and starter motors. Fingerprints, facial recognition and retina scanning may sound rather science fiction but such technology is already making its way into smartphones, and scaling it up to consumer car and home access is the likely next step. Many modern cars have blind spot detectors and clever collision warning systems, but they’re generally geared towards protecting the front and rear areas of the vehicle. Future cars will benefit from side-collision prevention that use radar to detect potential obstacles and pedestrians, thus helping motorists avoid inadvertently crashing into objects and people side-on. Analysts may argue that devices such as the Apple Watch are yet to take the market by storm, but the tech giants of the industry don’t appear to slowing their innovation when it comes to wrist-worn computing. Because of this, it’s highly likely that we’ll start to see smartwatch integration in future cars. Companies like Tesla already offer some very interesting Apple Watch functionality, and features such as remote starting, sounding the alarm while sat on the couch and the ability to keep tabs on vehicle health from the wrist would be a compelling step forward in motoring. Why use physical controls when you can simply wave your hand in mid-air to turn the volume up on the radio? It’s widely believed that manufacturers are already working on gesture controls for in-car entertainment systems and certain vehicle functions, such as starting and stopping the engine. 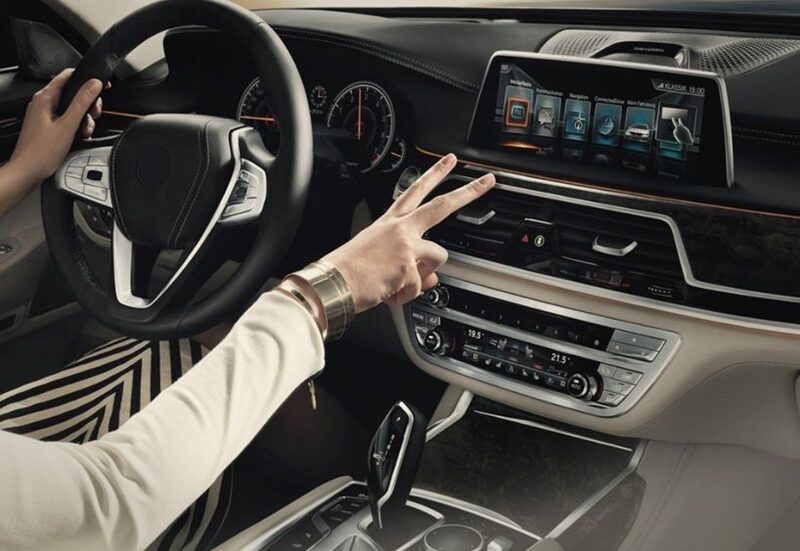 Combine gesture control with voice control via the likes of Siri, and the driving experience will become very approachable indeed for future generation X drivers and those with disabilities. If you’ve ever lost or had your phone stolen and used one of the manufacturer-supplied apps to locate it, you’ll have thanked your lucky stars that location-based technology exists. It’s highly likely we’ll start to see similar functionality arrive in consumer cars, too, as it filters down from commercial and military grade use. In the not-too-distant future, if a car is stolen, the owner will be able to turn to their smartphone in order to locate it and inform the police of its whereabouts; a brilliant example of technology offering a genuine benefit that results in ultimate peace-of-mind for everyday users. The future of car technology is a very exciting place indeed. Car manufacturers never stop innovating, and we hope the above gives you an idea of what lies beyond the prospect of the fully autonomous vehicle technology that all-too-often dominates the headlines.